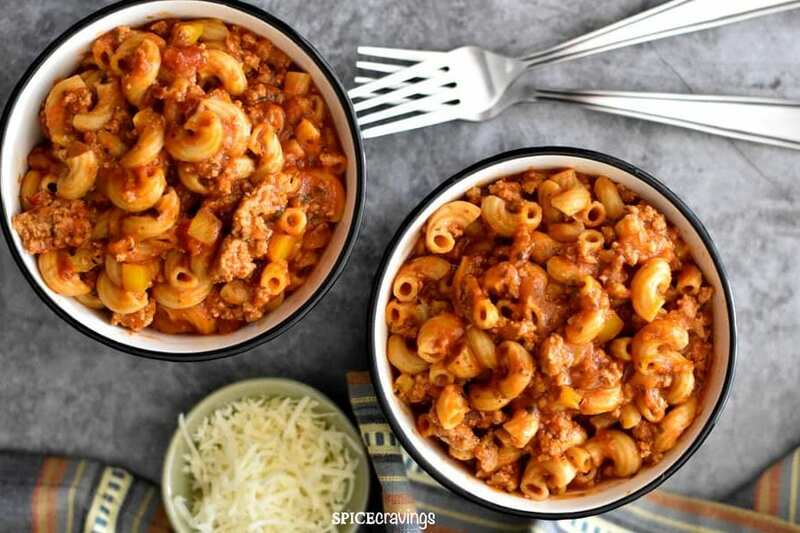 A simple and delicious comfort food recipe with ground meat and pasta cooked in a tomato sauce flavored with paprika and other spices. 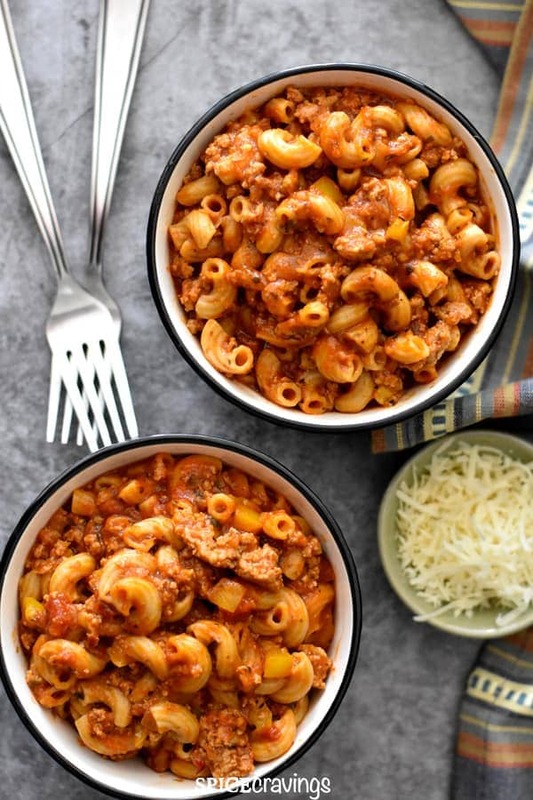 This American-style Instant Pot Goulash comes together in one-pot in just 30 minutes! 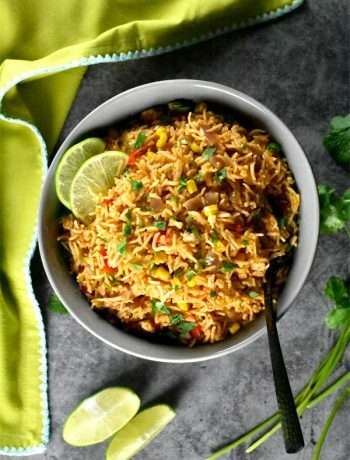 It is one of our favorite weeknight meals! Goulash is a stew of meat and vegetables seasoned with paprika and other spices. There are two popular styles of making it, Hungarian and American. 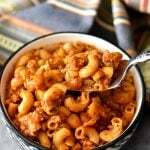 This recipe is an American-style Goulash that is made with pasta, ground meat and tomato sauce. The sauce is seasoned with aromatics, soy sauce, paprika and Italian herbs. Some popular garnishes include chopped parsley and shredded cheese. Hungarian Goulash is a stew made with beef and vegetables that is seasoned with paprika and other herbs. It is one of the most popular dishes in Hungary. I visited Budapest a few years ago and tasted two amazing versions of Hungarian Goulash. One was made like a beef stew, with vegetables and potatoes and seasoned with paprika along with other spices. The restaurant served it with a rustic chewy bread to soak up the delicious stew. It was the most comforting meal I had on that trip. The second version, was a similar beef stew, but it was served with fresh egg noodles called ‘Spaetzle’. Super tasty as well! The big difference that sets the two styles apart is that Hungarian Goulash is made with beef stew-meat, and adding noodles is optional. 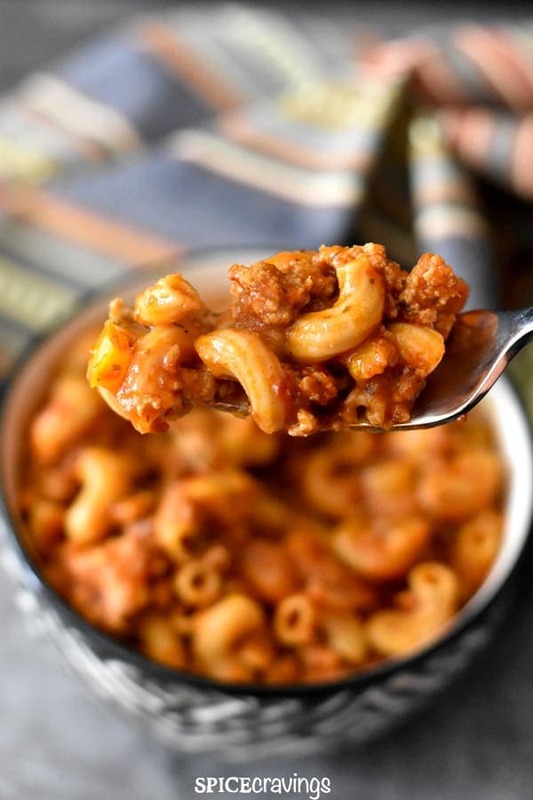 Whereas, American Goulash is made with ground meat and elbow macaroni, more like a meat and pasta dish. Ground meat: I use ground turkey in this recipe, because it is lean, plus I don’t have to drain out the fat. 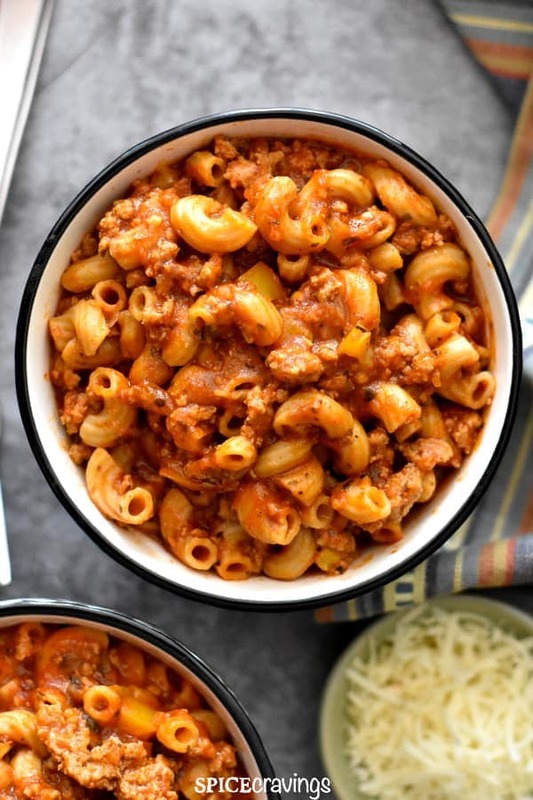 But, you can use ground beef for an easy Beef Goulash, or ground chicken as well. 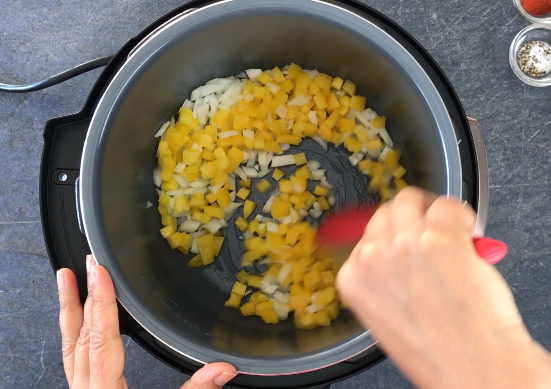 Vegetables: I like using yellow or red bell pepper in this recipe because they add a subtle sweet taste. You can use green bell pepper if you like, or skip it. Sliced celery or mushrooms can be added to this dish as well. Also, if you have picky little vegetable-eaters at home, you can chop up some carrots in a food processor and add to this recipe. Cheese: I add freshly grated parmesan cheese in the end, but you can add any kind of shredded cheese you have on hand. 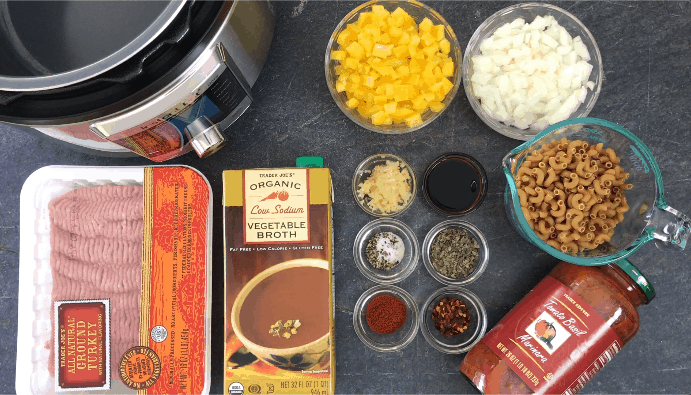 Broth: I prefer to use vegetable broth for this recipe as it adds more depth of flavor. Alternatively, you can use chicken broth. Also, if you like your Goulash more soupy, add another cup of broth to this recipe. Since different pasta shapes require different cook times, here is what works for me: I half the lower number in the suggested cook time on the box, and subtract 1 minute from that. So, if a box suggests the cook time as 10-11 minutes, I cook it for 4 minutes in the Instant Pot (10/2=5; 5-1=4). 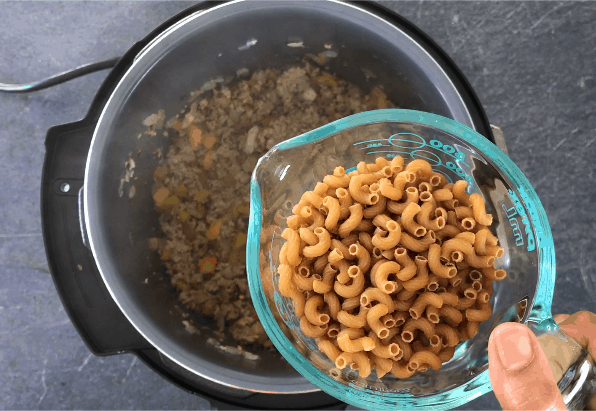 To make Vegetarian Goulash using this recipe, simply skip the ground meat and you’re good to go. Everything else remains the same! 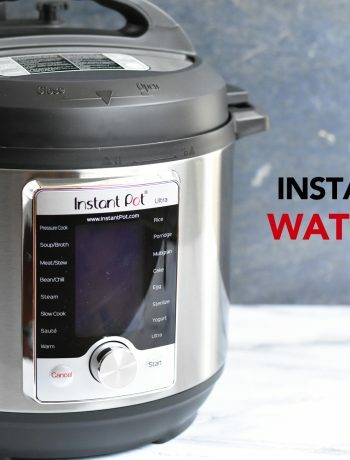 I prefer to make Goulash in my Instant Pot because I don’t have to baby-sit the pot while it is cooking. 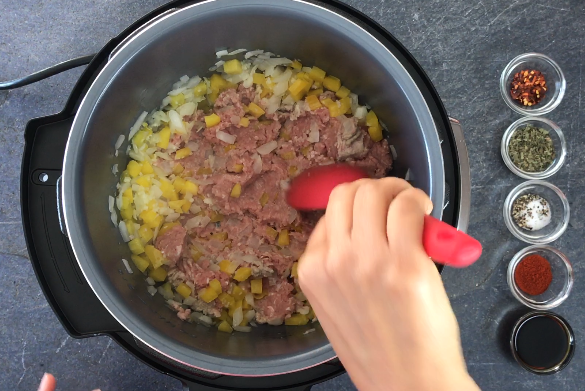 Using a smart cooker makes it an easy one-pot dish that even my kids can put together. Here are all the ingredients you need to make this yum dish! Garnish with cheese and enjoy! 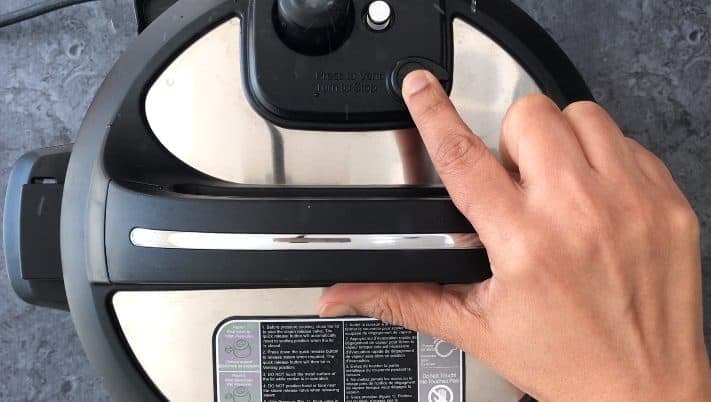 Reduce the pressure cooking time to 2 minutes (instead of 3 mins), and let the pressure release naturally for 10 mins (NPR 10). In this time, most of the pressure would have released naturally. So when you do a quick release at this point, it is not as forceful and long. 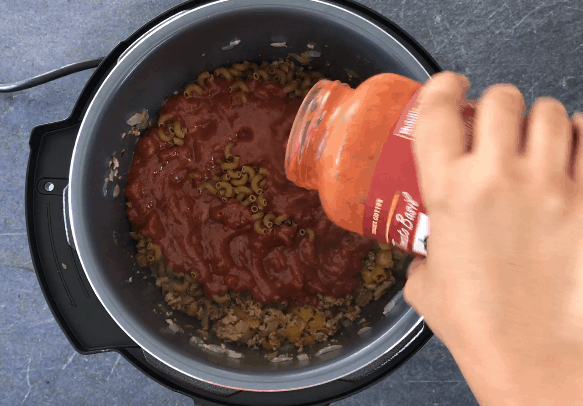 A delicious comfort food recipe with ground meat and pasta cooked in a flavorful tomato sauce. 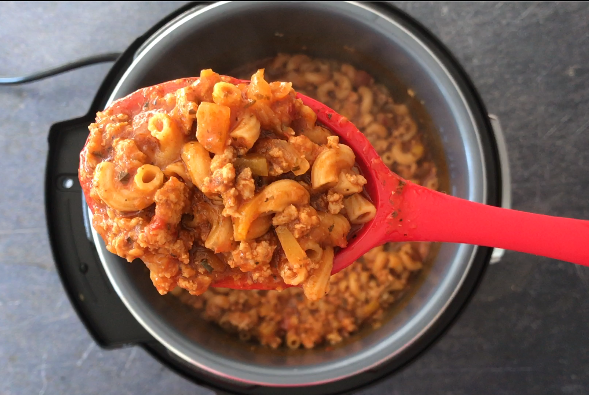 This American-style Instant Pot Goulash comes together in one-pot in just 30 minutes! 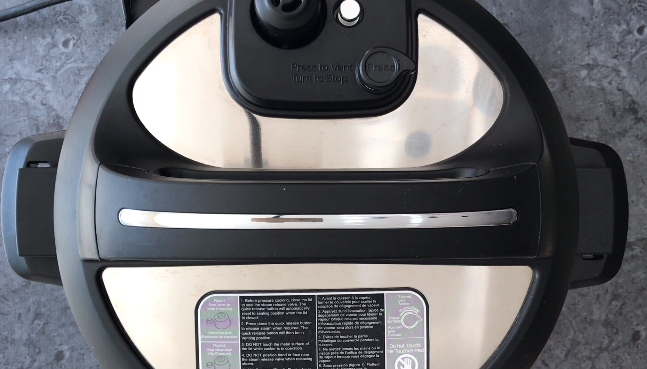 Saute: Turn on Instant Pot on Saute (high). When display reads ‘hot’, add oil, onion, garlic, pepper and saute for 30 seconds. Add ground meat, break it up with a spoon and saute for 2 minutes. Release Pressure: Once the cooking is done, you can release pressure immediately, or after 5 minutes. 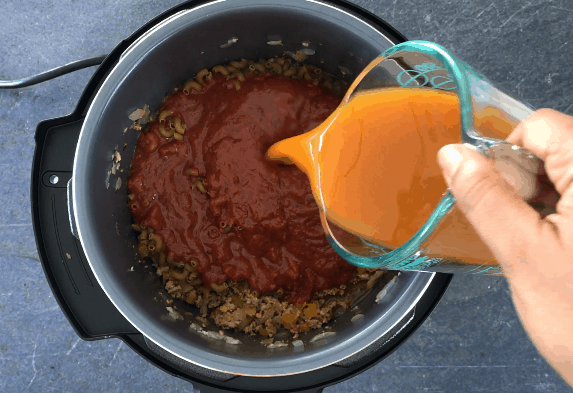 If you are multiplying this recipe, I recommend waiting for 5 mins, as that prevents a mess-free release. You can release pressure by turning the valve to ‘Venting ‘ position in DUO models, or , press down the pressure valve in ULTRA models. Garnish and Enjoy: Open the lid after the pin drops. Serve warm and garnish with your favorite shredded cheese and enjoy! 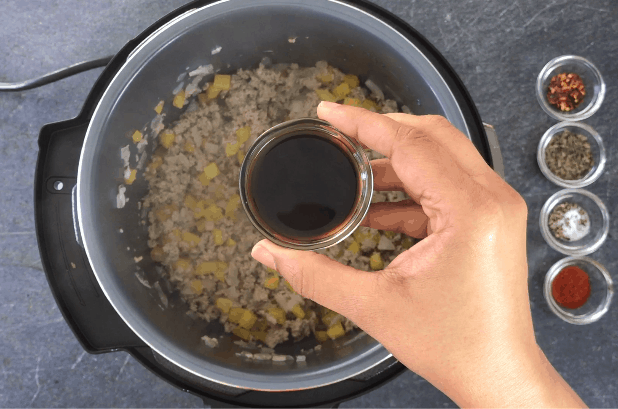 How to avoid QR: Reduce the pressure cooking time to 2 minutes, and let the pressure release naturally for 10 mins (NPR 10 mins). In that time, most of the pressure has released naturally and if you do a quick release at this point, it won’t be that impactful and long. 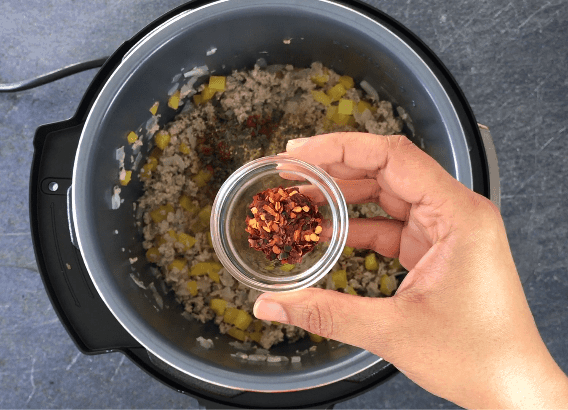 This recipe has been tested in a 6qt Instant Pot. If making this in an 8Qt size, adjust the water quantity to meet the minimum requirement.